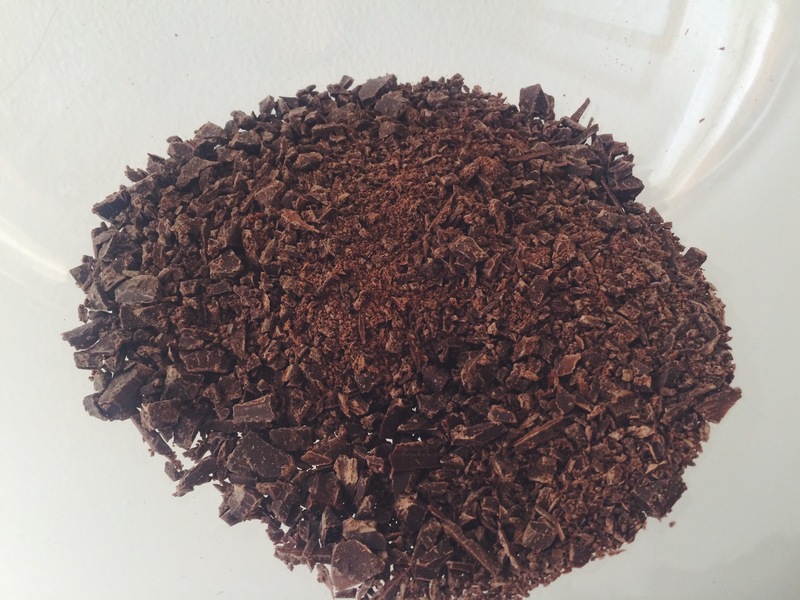 Listen, it is the duty, honor, and responsibility of a chocolate-lover to make Ganache. The rich decadent smooth nature of this substance, refuses to be denied. 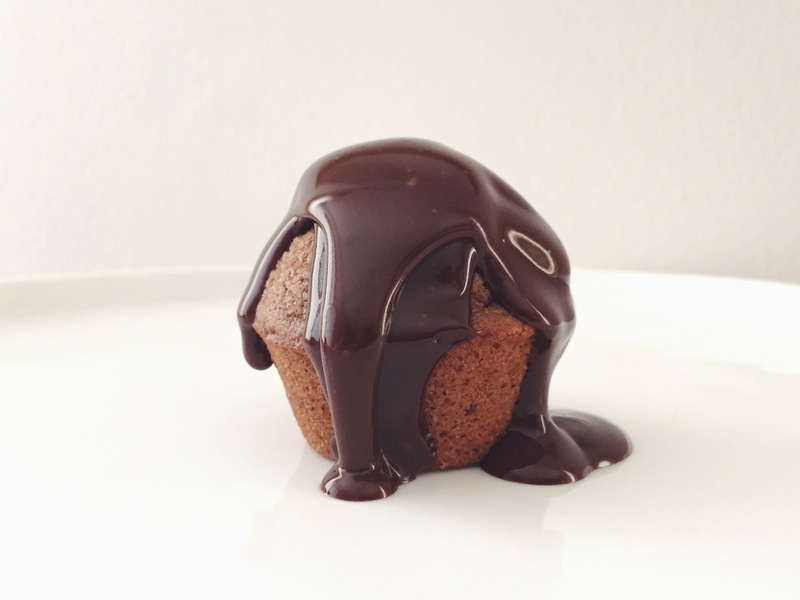 This week, I baked a basic chocolate muffin recipe, and then transformed them by pouring ganache on top. 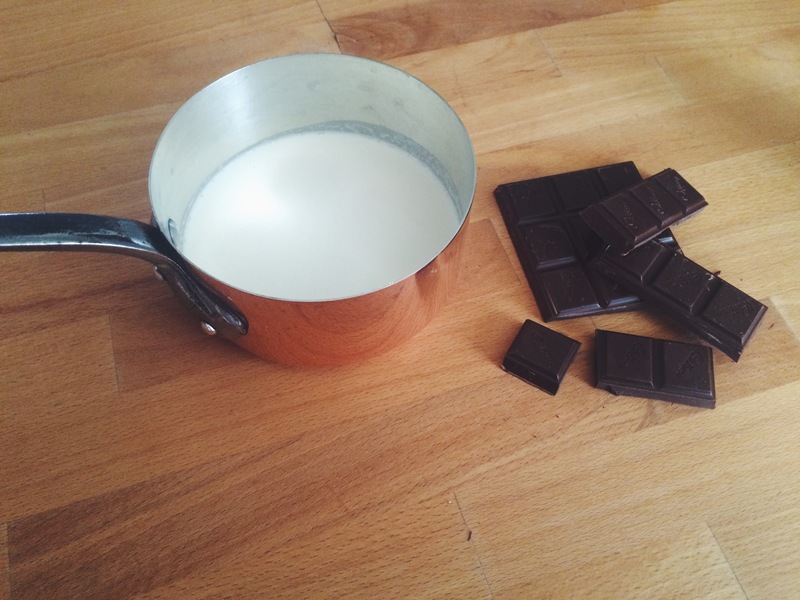 Chop the chocolate. Chop til you drop. It’s quite the chore but it is the only way. 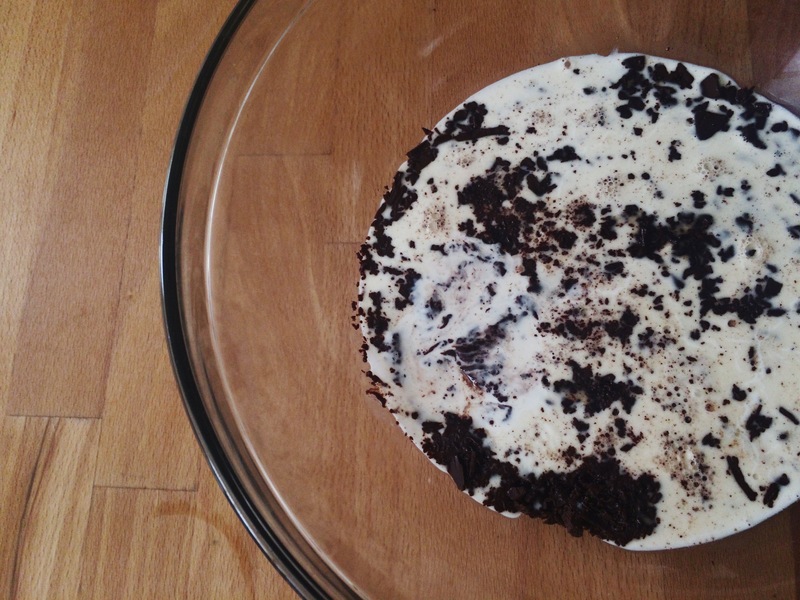 Place the pieces in a large bowl. Bring cream to a boil on the stove top. Try to turn off the fire as soon as it starts bubbling. 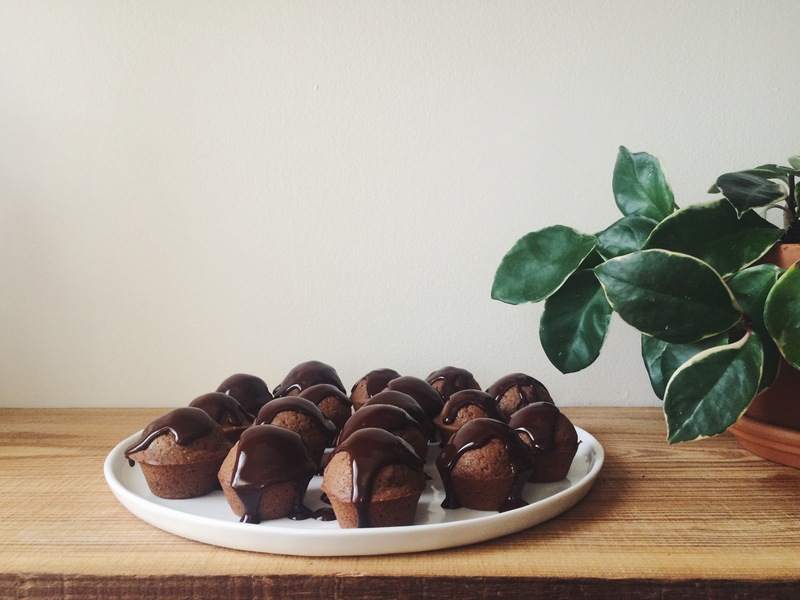 Immediately pour over the chocolate and leave it alone for 10 minutes. Don’t stir yet! Texture perfection depends upon it. 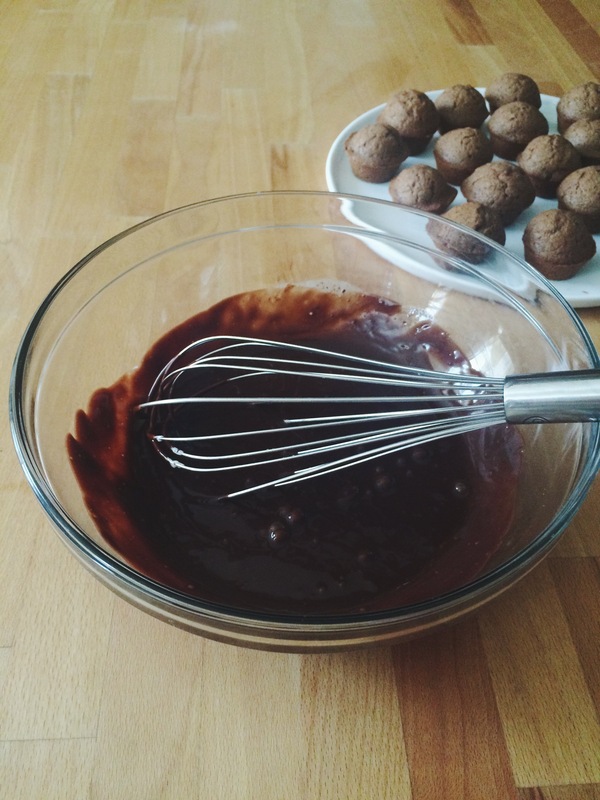 After 10 minutes, come back to it with a large whisk and slowly turn it until all the chocolate dissolves. I’d say, if silk had a flavor… this is it. 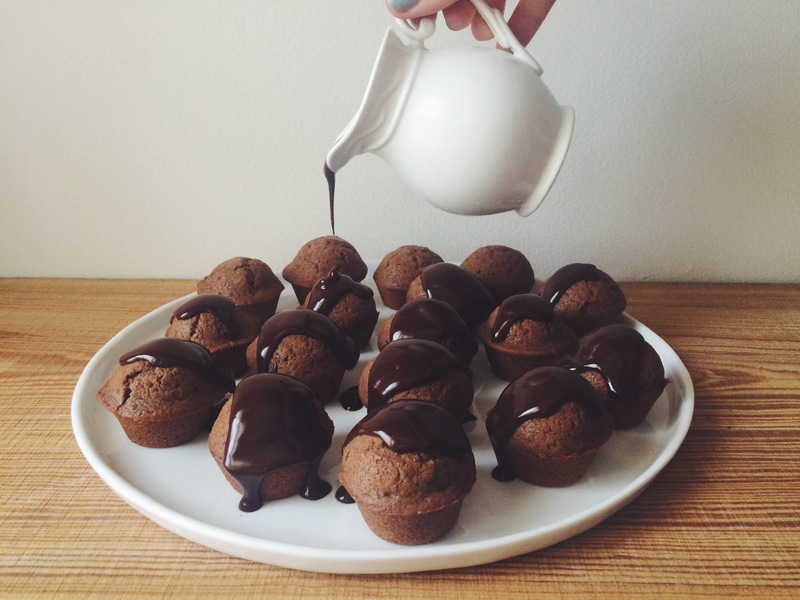 Use a spatula to fold it a few more times, since chocolate sometimes settles on the bottom.